Add a new dimension of downforce to your Corvette Z06. 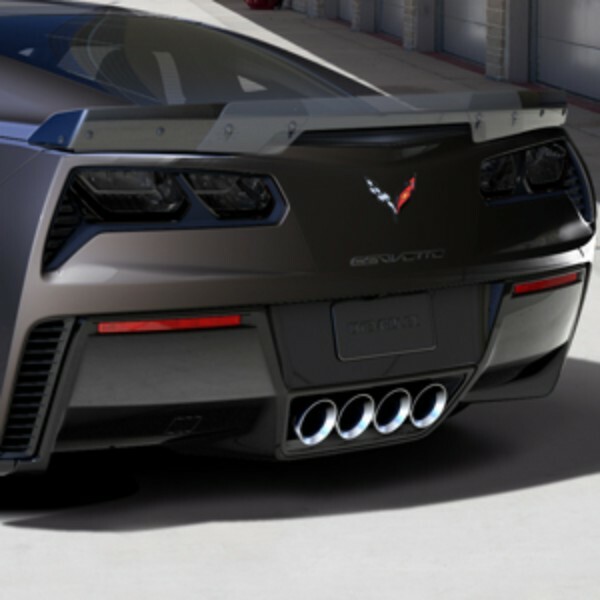 This Level 3 Aero Package is an upgrade for Level 2-equipped Corvette Z06 models (only) and adds elements from the Z07 Performance Package, including larger end plates to the front splitter, as well as an adjustable, transparent wicker bill on the rear spoiler for track use. With this package, the Corvette Z06 delivers the most aerodynamic downforce of any production car that GM has ever tested.